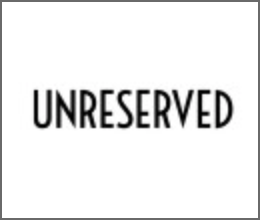 For your convenience and to our great pleasure high resolution pictures and our press releases have been made exclusively available for printed -and other- press purposes. 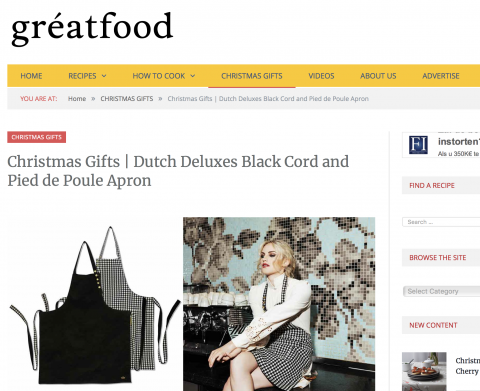 Seen our Dutchdeluxes suspender apron in 100% full grain leather vintage grey. 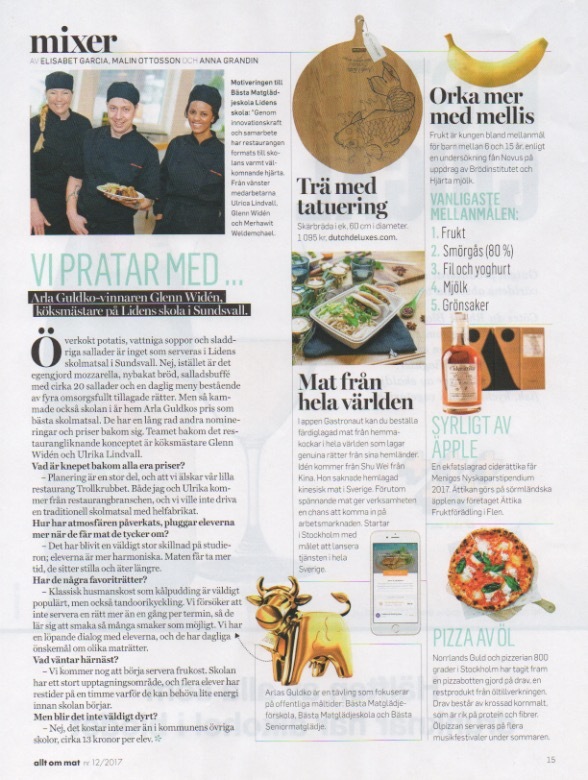 In the FG restaurant from Francios Geurds in Rotterdam. 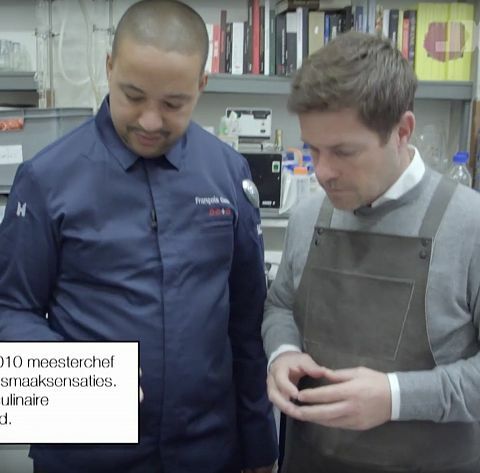 Watch the video in the link [Dutch only]. Spotted the characteristic leather BBQ style apron in black and our gorgeous black leather oven glove in croco style. 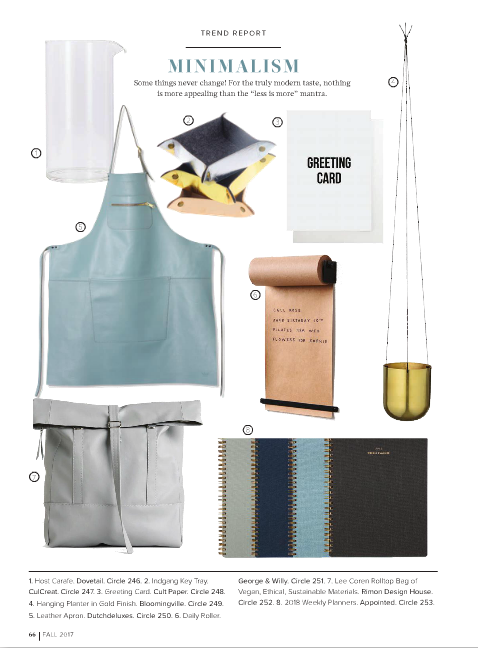 The unique leather zipper style apron in the limited edition colour Gold craquelé metallic spotted on the Ambiente the blog. 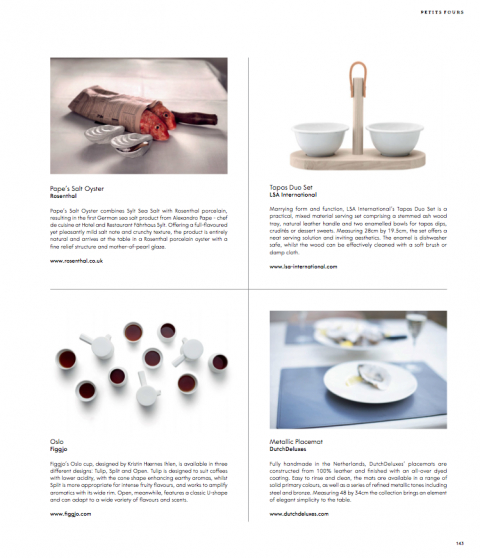 The perfect gift this Christmas for people passionate for cuisine and design. 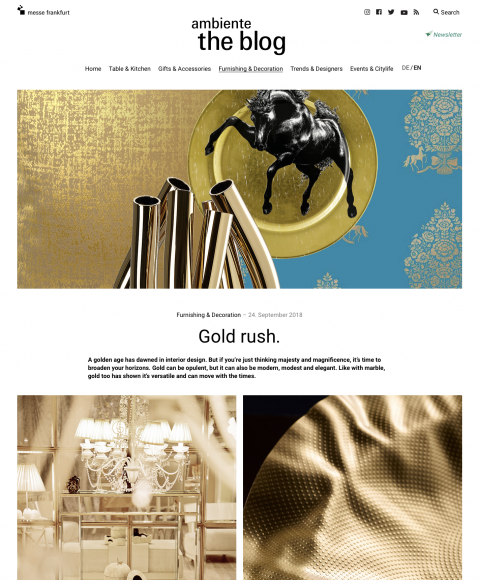 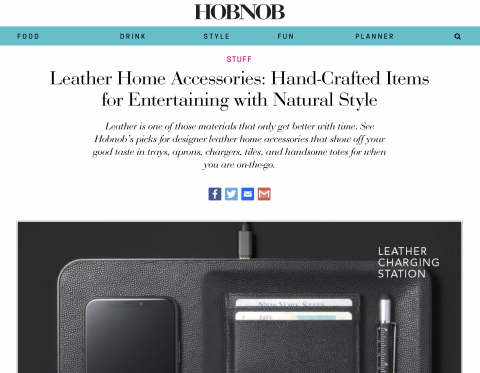 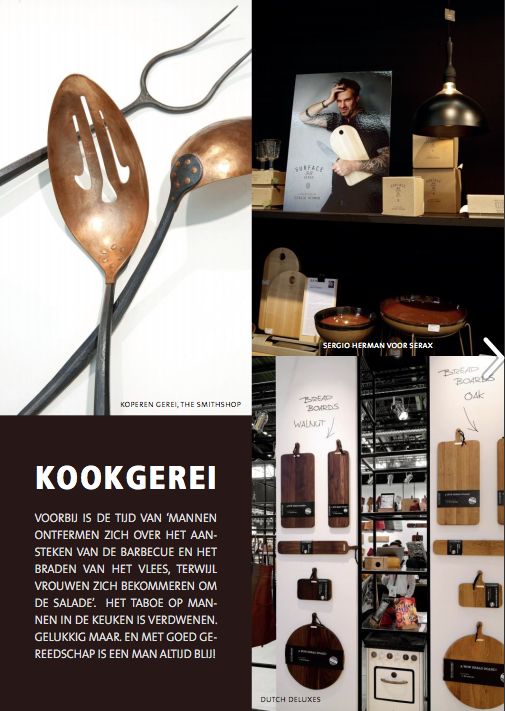 Dutchdeluxes spotted in Hobnob magazine in a article about leather designer home accessories. 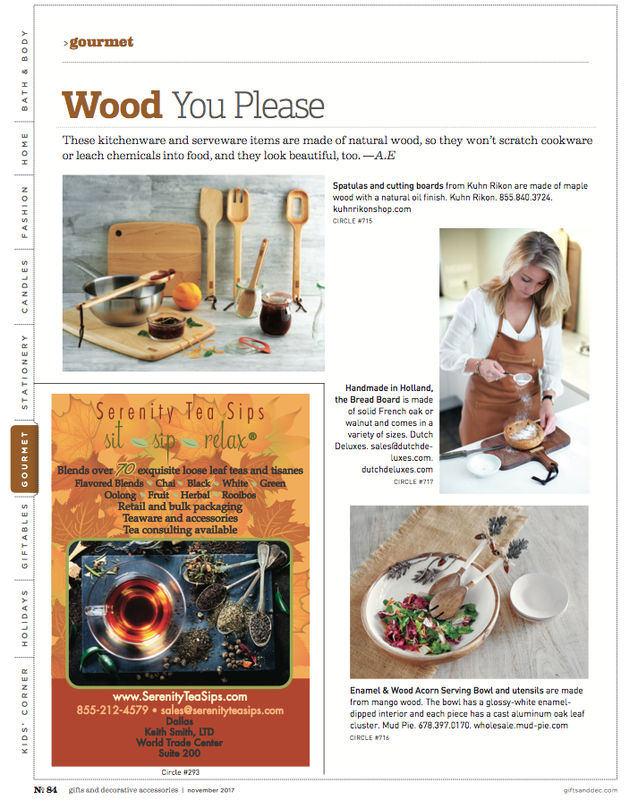 Our NEW BBQ board spotted in G&G Magazine! The BBQ board in solid Walnut seen in the 2018 July issue of the Italian home and lifestyle magazine G&G. 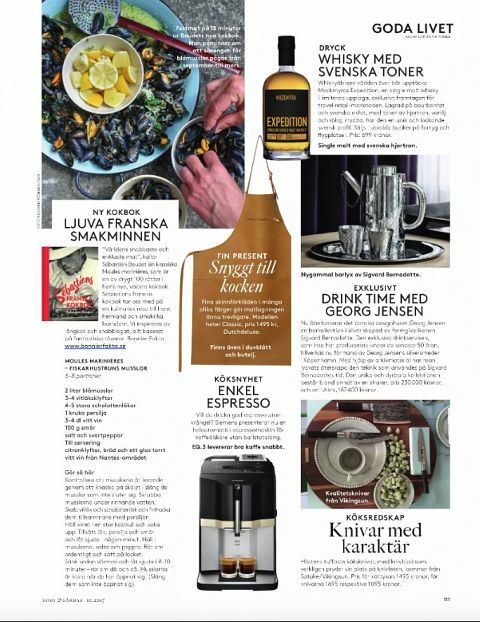 Our fashionable apron spotted in G&G Magazine! 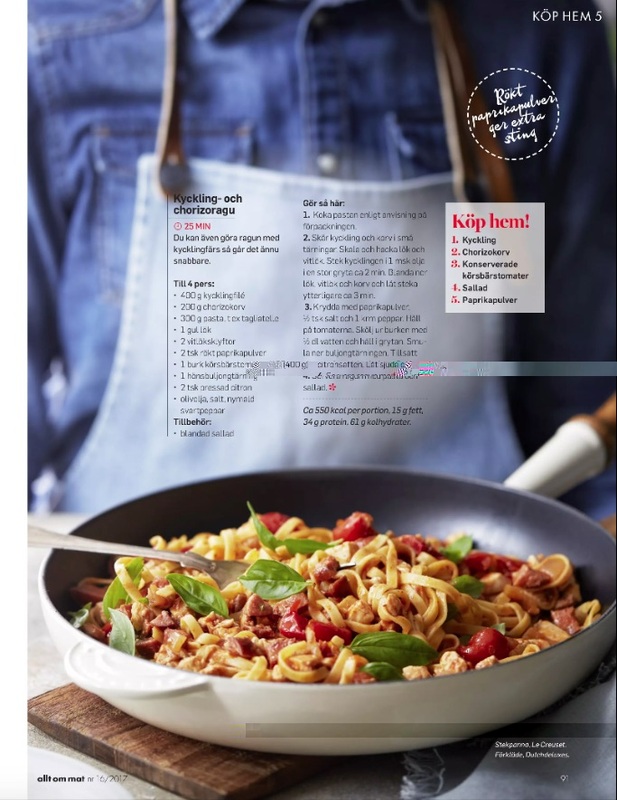 The Reversible series apron in navy cord vs checkered red seen in the 2018 May issue of the Italian home and lifestyle magazine G&G. 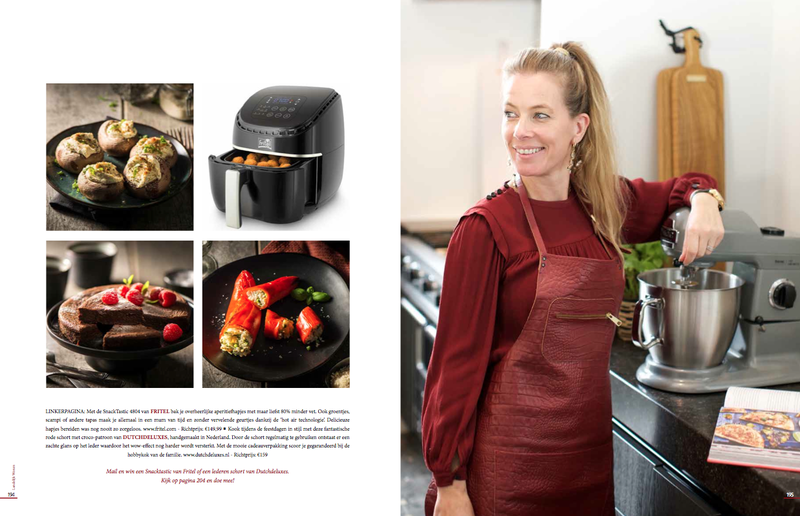 Dutchdeluxes spotted in the May issue of Germany’s leading magazine for traveling and lifestyle, Der Feinschmecker, with our BBQ style apron in split leather black, black classic oven glove and the XL Rectangular solid walnut wooden board. Our BBQ Style Apron in vintage brown seen in the April issue of the Southeast Asian premium magazine, UNRESERVED at the Acquired taste section. 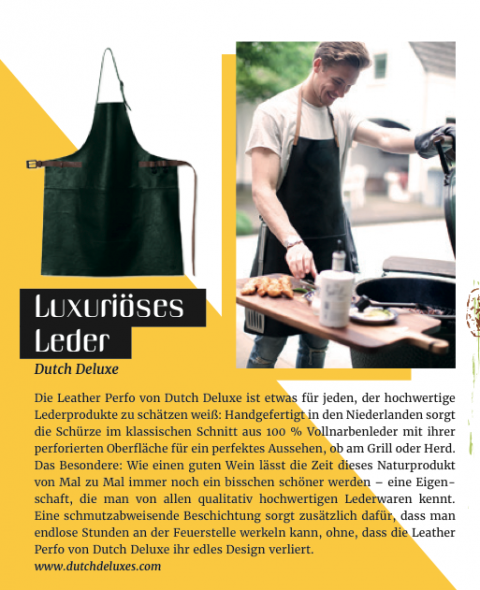 The Dutchdeluxes BBQ Style Apron in vintage brown seen on the Southeast Asian premium media platform, Unreserved. 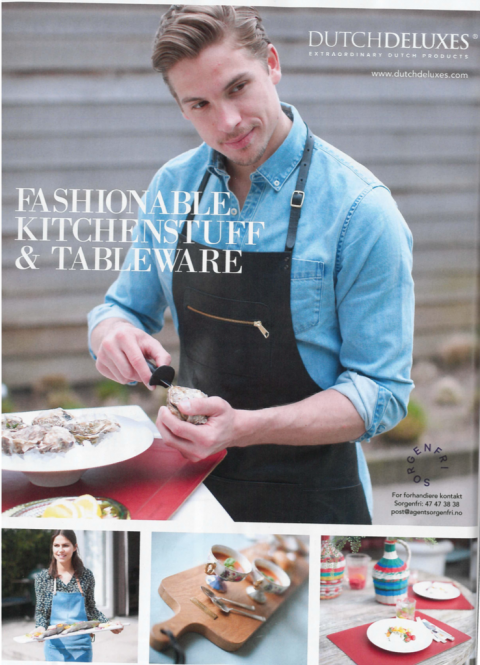 Dutchdeluxes leather BBQ style apron in dusty blue seen in G&G Magazine. 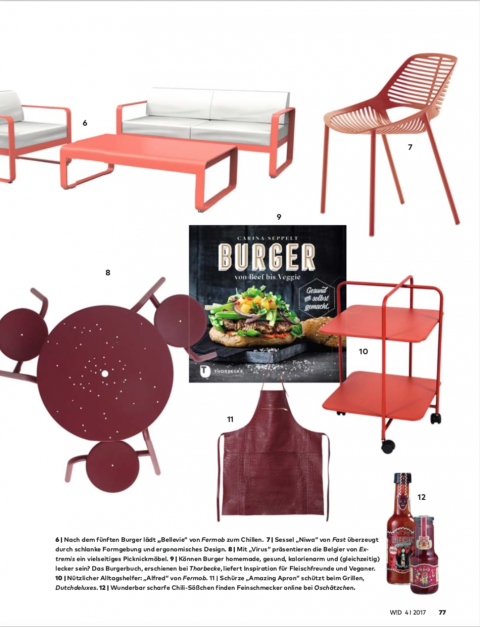 Dutchdeluxes leather apron croco style in new ruby red seen in Landelijke Wonen magazine. 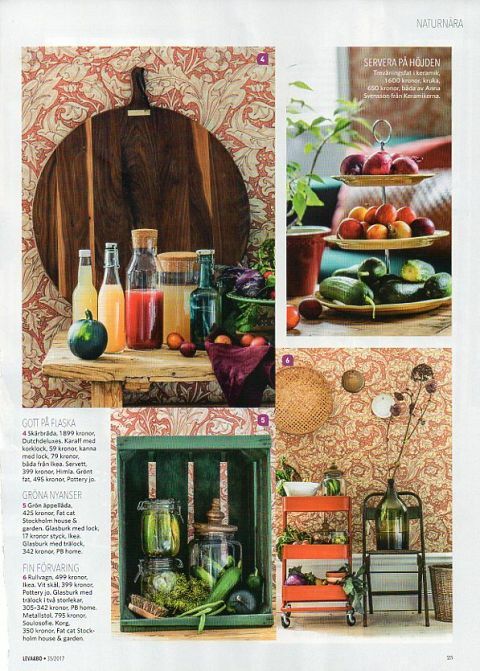 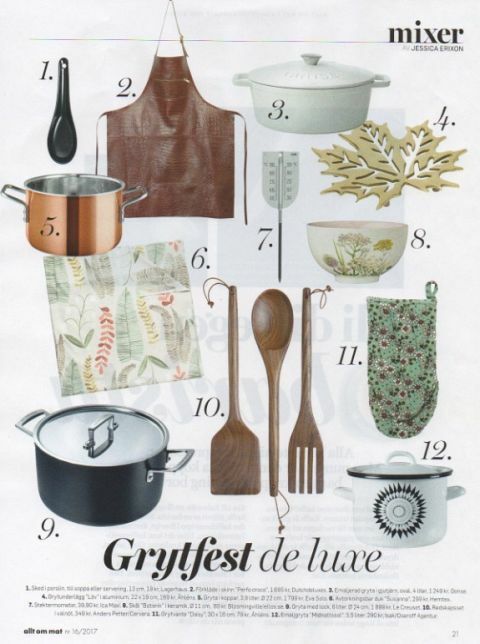 Dutchdeluxes XS rectangular bread board in walnut and amazing apron new natural seen in Gift and Decoration magazine. 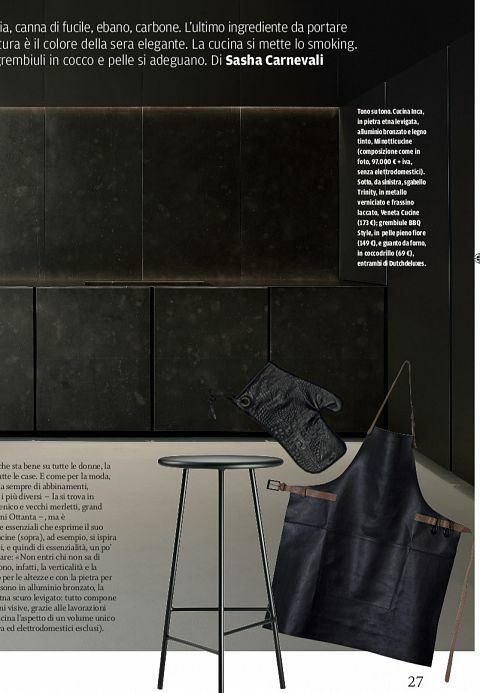 Dutchdeluxes washed grey denim apron with leather straps seen in Salling magazine. 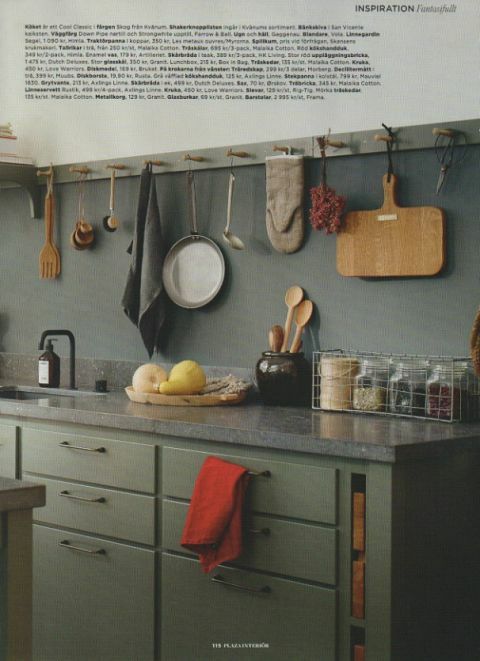 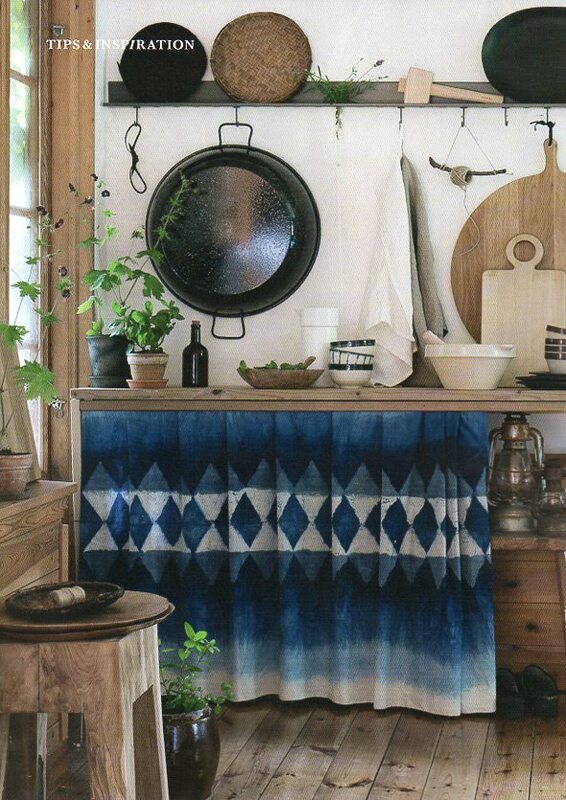 Dutchdeluxes washed indigo denim apron with leather straps seen in Allt om Mat magazine. Dutchdeluxes XS Rectangular breadboard in walnut wood seen in Lantliv magazine. 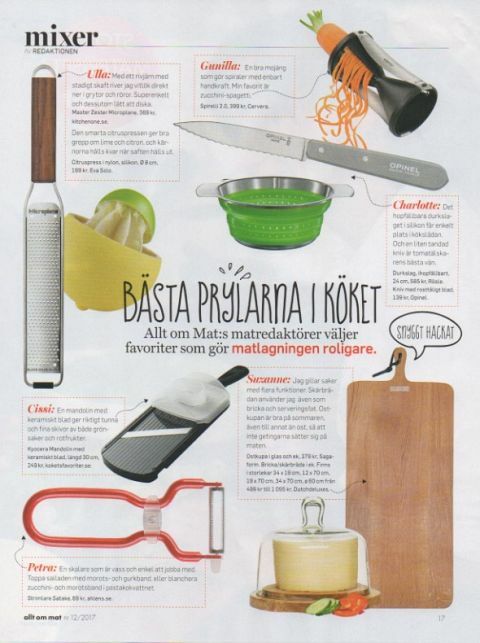 Dutchdeluxes croco leather apron in classic brown seen in Allt om mat magazine. 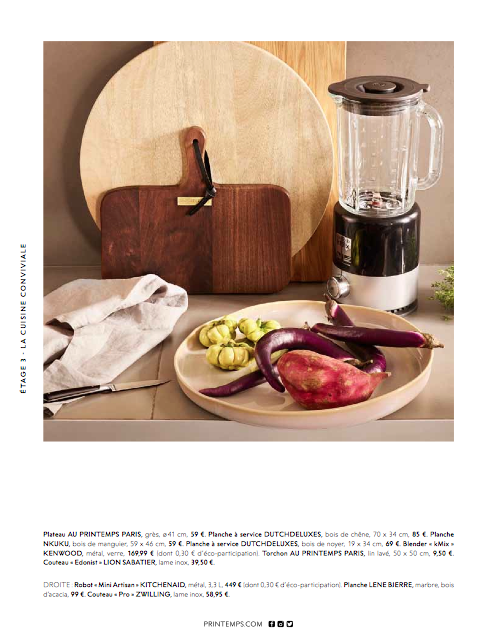 Dutchdeluxes XS Rectangular breadboard in oak wood seen in Plaza Interiör magazine. 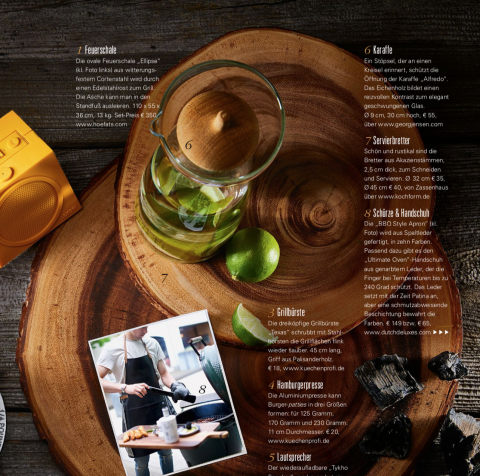 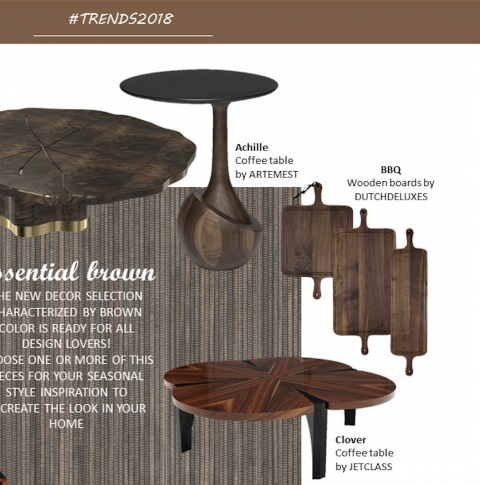 Dutchdeluxes XL round walnut bread board seen in Leva & Bo magazine. 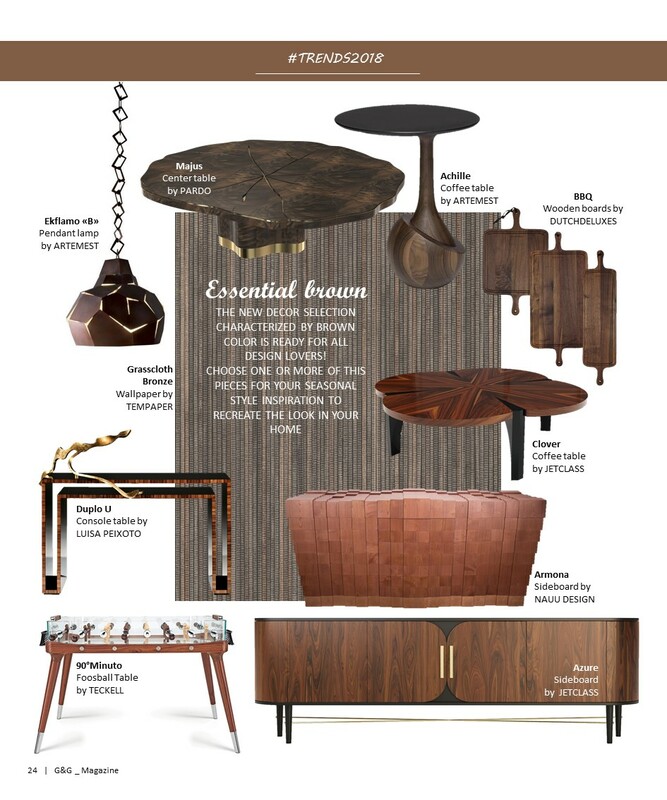 Dutchdeluxes seen in Printemp de la Maison magazine. 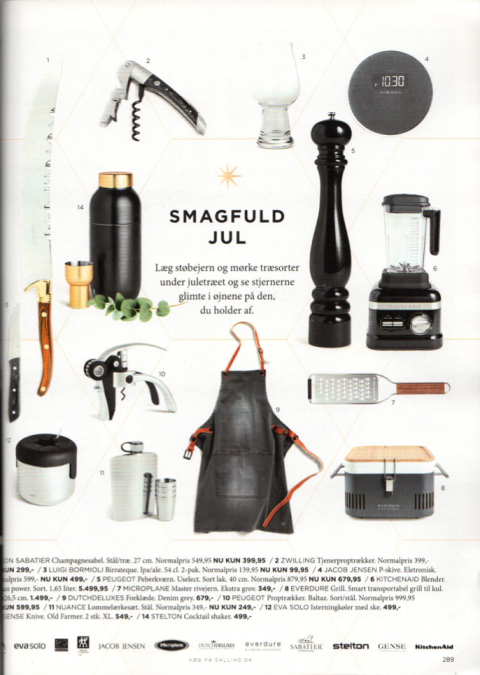 Dutchdeluxes seen in MEAT IN magazine. 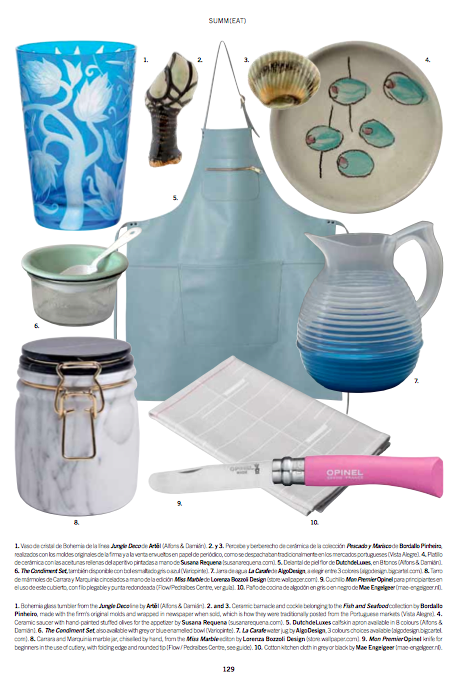 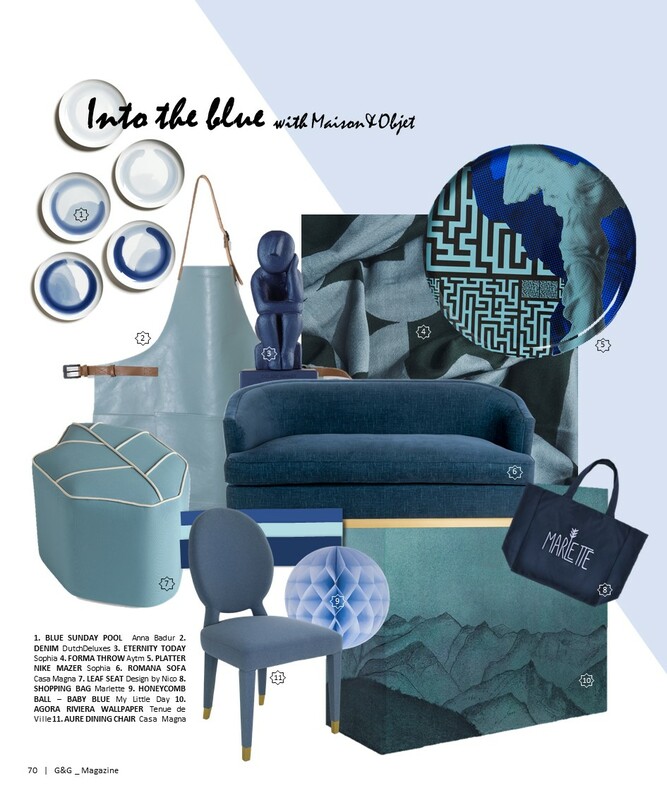 Dutchdeluxes dusty blue zipper style leather apron seen in B-guided magazine. Duthdeluxes XL stripe in pastel blue food platter seen in Drömhem Trädgård magazine. 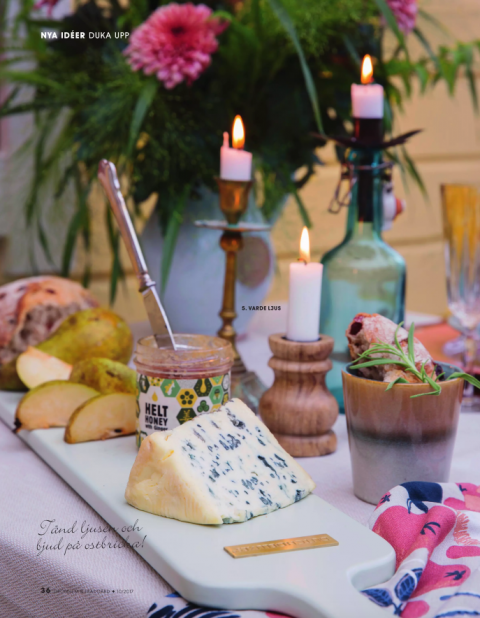 Dutchdeluxes XS rectangular walnut wood bread board seen in Allt i Hemme magazine. 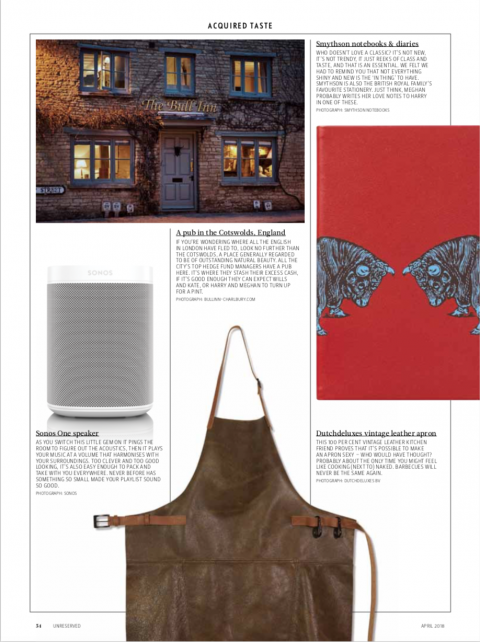 Dutchdeluxes leather apron and oak wood XS rectangular bread board seen in Lantliv mat vin magazine. Dutchdeluxes XL round food platter seen in Allt om Mat magazine. 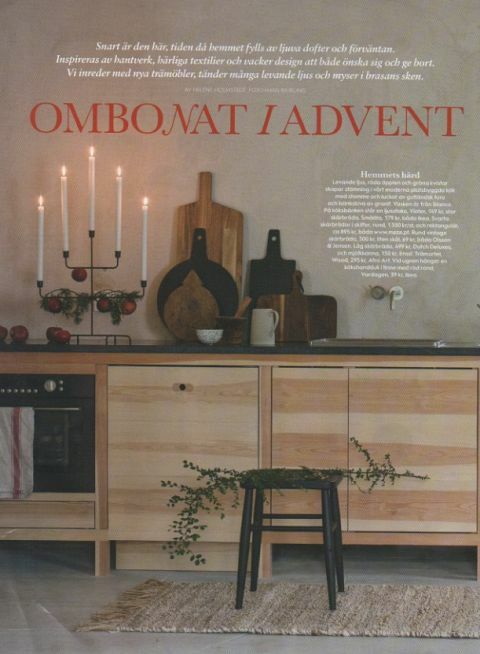 Dutchdeluxes XL rectangular oak wood bread board seen in Allt om Mat magazine. 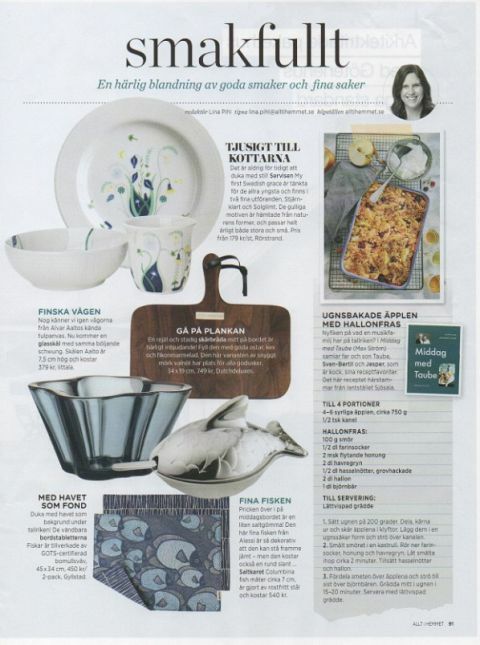 Dutchdeluxes metallic grey leather placemat seen in SUPPER MAGAZINE. 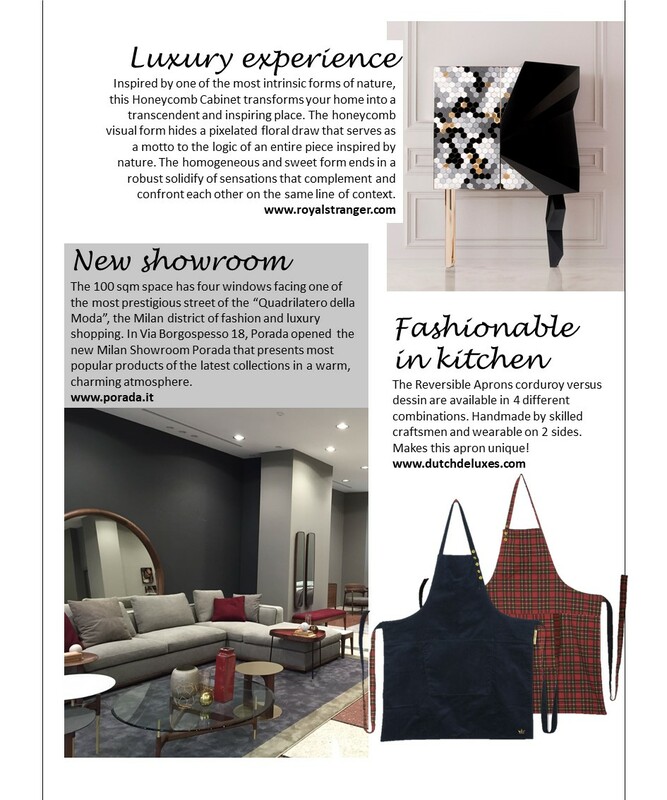 Dutchdeluxes red croco-style leather apron seen in WOHN DESIGN magazine. Dutchdeluxes XL round solid French oak bread board seen in Lantliv magazine. 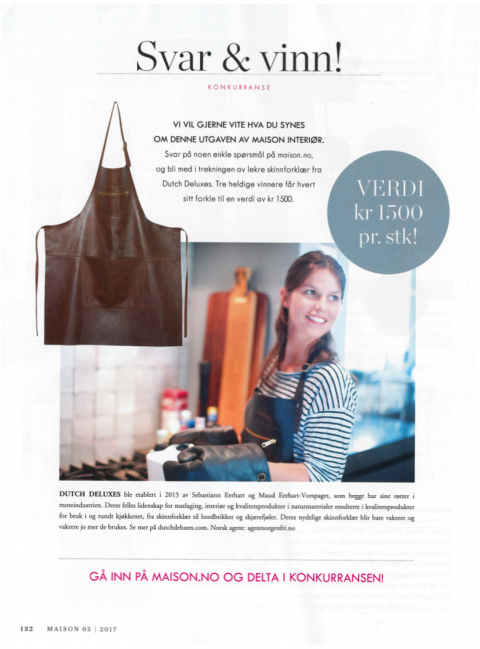 Dutchdeluxes classic brown leather apron seen in Maison Interior Magazine. 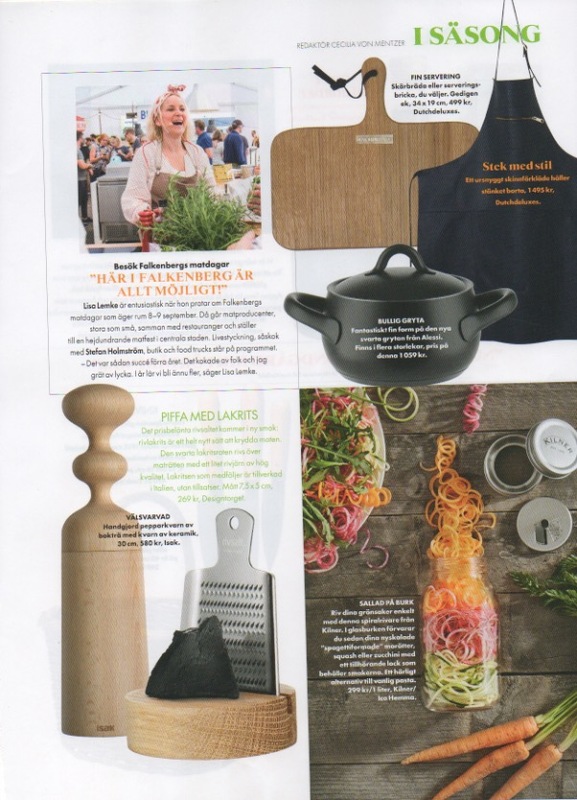 Dutchdeluxes black leather apron, washed indigo BBQ apron, XL slimfit breadboard and leather placemats seen in Levlandlig magazine.